Log into www.amte.net in the left "Log In to AMTE" panel. 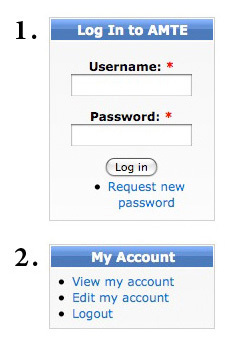 Select “View My Account” in the left "My Account" panel. Your conference registration information will be displayed at the bottom.